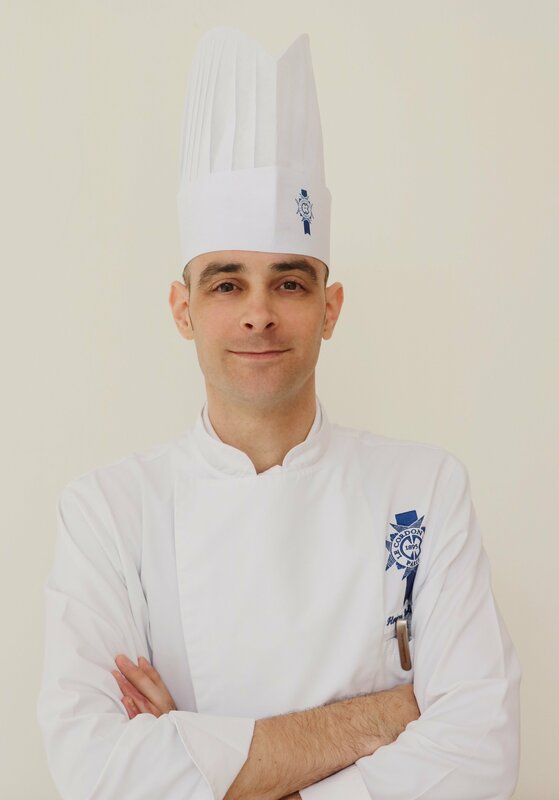 From Montpellier, South of France, Chef José Cau was born in Germany and began his career in 1990 after obtaining his “Certificat d’Aptitude Professionnelle (CAP)” in cuisine. Chef José Cau educated by Guy prouheze, a one star Michelin and developed his culinary skills working in prestigious restaurant kitchens throughout France. He later held position as a commis Cuisine chef in one-star Michelin restaurant “Bonacasa”. Chef José Cau continued his career in UK since 1994. Firstly he worked at “Le Gavroche “, a two-star Michelin restaurant as Chef de partie for two years before he moved to “Belmond Le Manoir aux quatre saisons.” Then he became a Sous Chef in “Le Petit Blanc”, a one star Michelin restaurant. In 1998, he had many experience as Head chef and responsible for “Sir Charles Napier ”restaurant, and a Head chef and General Manager for the 3 star hotel “The pride of the valley”. From 2005 to 2008, he worked as Head chef and Director for “Forbury’s restaurant’, a 5 G.F.G restaurant, and was rewarded as Harden’s best restaurant in 2006 under his leadership. In 2008, Chef José Cau opened his own restaurant “The Partridge restaurant “in UK, which he ran for 4 years. This restaurant had owned a 2 rosettes rating in AA and 2 fourchettes rating in Michelin guide. In late 2012 he moved to France and worked as a cuisine director in “The Périgny castle France”. Nov 2015, he joined the select staff of teaching chefs at LE CORDON BLEU Shanghai as Cuisine Instructor. And in 2017 he became the Executive Chef and Academic Director of Le Cordon Bleu Taiwan, in Kaohsiung campus. Chef Sebastien Graslan was born and raised in the Pays de la Loire region of France. Coming from a family who owned a hotel in Chevilly, Chef Sebastian grew up in the hospitality environment and chose to pursue the culinary arts as a career. Chef Sebastien moved to England in 1990 to develop his skills practically before gaining further experience across Europe in the kitchens of 5-star hotels. He returned to England in 1995 with a position at Elena’s L' Etoile, a classic French restaurant located in Soho. After two years, Chef Sebastien moved to Cape Town, South Africa at the prestigious Victoria and Alfred Hotel before returning to London in 1998. Chef Sebastien’s first role back in London came at Fredericks restaurant, under Andrew Jeffs (head chef 3 star Michelin at chez nico park lane) specializing in modern European cuisine. 2006 saw Chef Sebastien returned to the hotel environment with a position at The Sloane Square Hotel in London’s fashionable Chelsea district. Here, Chef Sebastien assisted in the creation of fine French cuisine in the hotel’s restaurant. 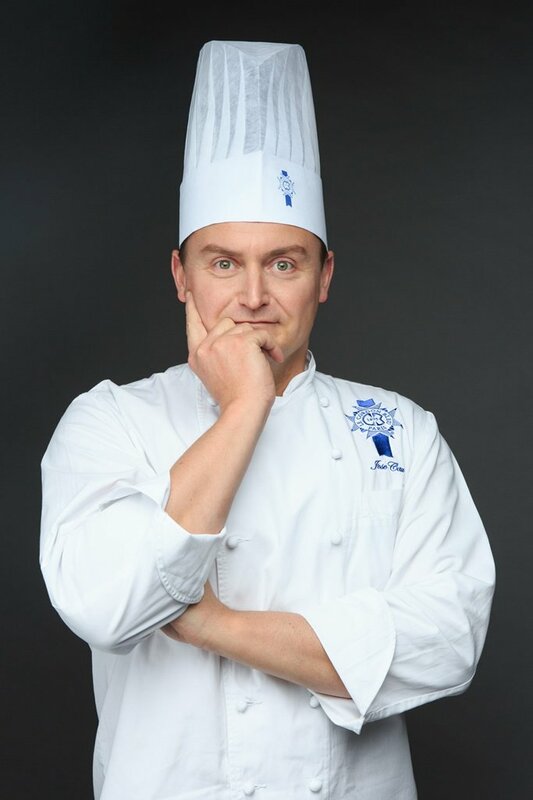 Chef Sebastien joined Le Cordon Bleu’s team of Cuisine Teaching Chefs in 2012 and moved to Kaohsiung, Taiwan to open Le Cordon Bleu NKUHT campus in 2014. Chef Florian Guillemenot believes that if one makes a cake with love, the person who eats it will be filled with happiness. 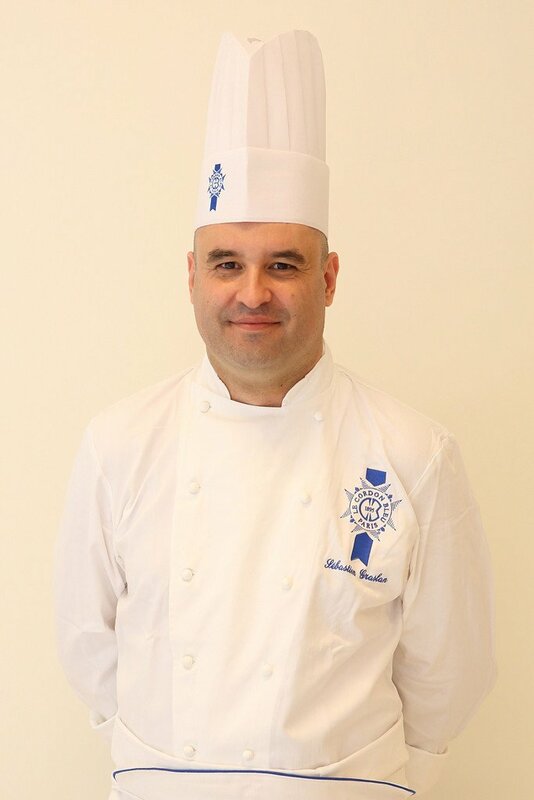 Since his apprenticeship in 2000 at the Sainte Anne catering school in Saint-Nazaire in the south of France and his training at Nantes, Chef Florian’s love for chocolate work, showpiece, and pastry technology has taken him all over the world to spread the joys of patisserie. Armed with myriad certificates and his experience working at the 5-star Royal Thalassothérapie at La Baule, he left his homeland for Oslo, Norway to ply his craft at the international Relais Dessert in Pascal, as well as the Bristol Hotel as a Chef de Partie Patisserie before journeying to Scandinavia, Finland, where he was a Pastry Chef at a French pastry shop called Frambois. Chef Florian then returned to France to obtain his Master Diploma of Pastry (BM patisserie) at the National Institute of Bakery and Pastry (INBP), where he was invited to share his patisserie talent as a trainer at the INBP in France, South Korea, Luxembourg, and Russia. After four years, he left INBP to travel to Japan as a pastry chef for a year then joined Le Cordon Bleu Malaysia as Pastry Chef Instructor in 2014 and moved to Le Cordon Bleu NKUHT campus Kaohsiung in 2018 as Pastry teaching Chef.